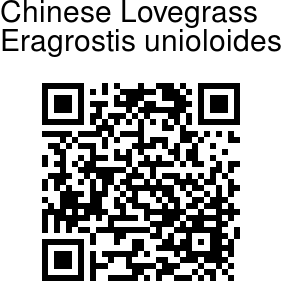 Chinese Lovegrass is an annual, or perennial, short-lived grass. Culms are rising or prostrate, 7–50 cm long, rooting from lower nodes. Ligule is a fringe of hairs. Leaf-blades are 3–10 cm long, 2–5 mm wide. Spikelets occur in panicles. 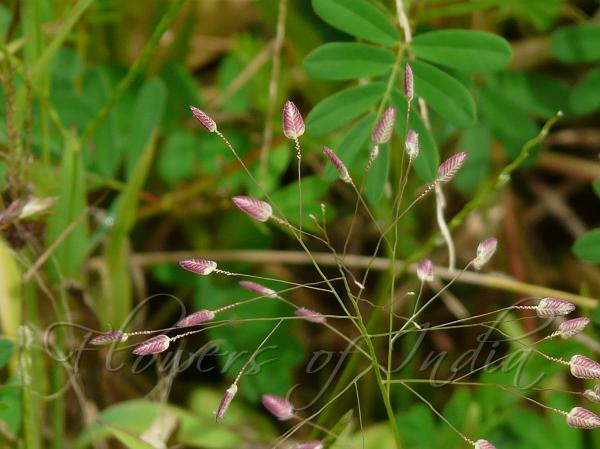 Spikelets are ovate, laterally compressed, looking like pink hearts. 4–12 mm long, 2–3.4 mm wide.